I still can’t believe this is my life. That’s not a joke or an exaggeration. It stuns me nearly every single day that I get to live out my wildest fantasy–one I was too afraid to even name for most of high school. And every day brings something ridiculously wonderful into my life. A message on my Facebook author page from someone who enjoyed reading Awkward and can’t wait to buy Invisible. A tweet from an author whose work I admire. An email from my fantastic Hungarian publisher. Maybe it will be as simple as reading a line in my new work in progress which cracks me up. I still find myself trying to understand how I could have gotten here. I remember being terrified that he’d be right. And now here I am proudly holding this! 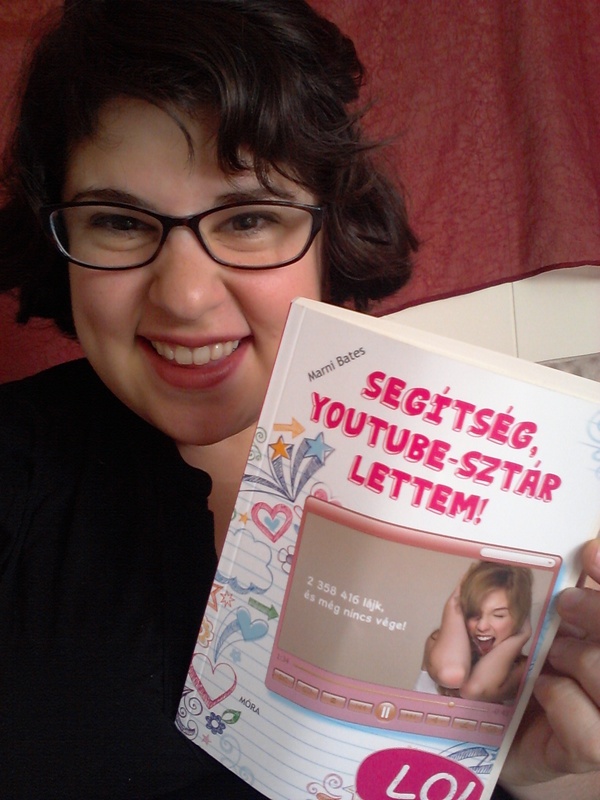 My Hungarian publisher renamed Awkward: Help, I’ve become a YouTube Star! My best imitation of the Mackenzie yell. Signed and everything! It doesn’t get any more official! 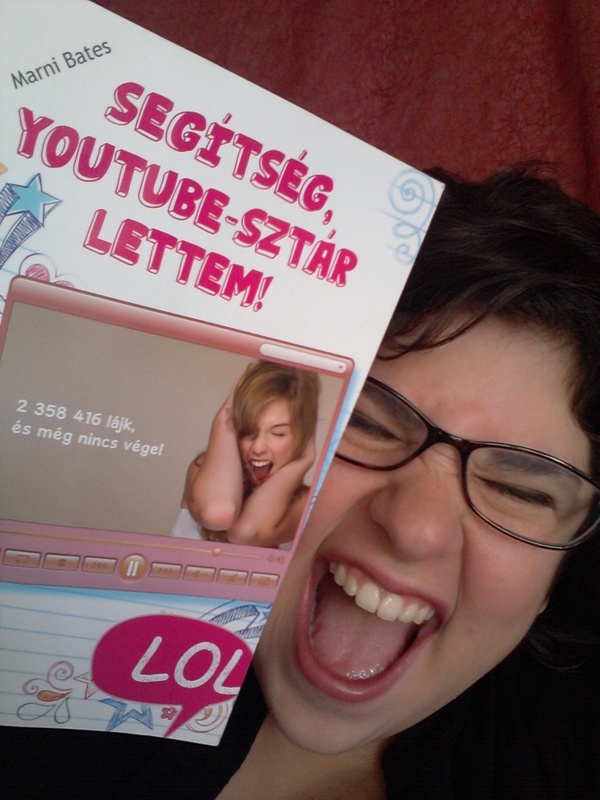 If you’re curious about my experience with my Hungarian publisher, you should definitely check out the video I made about it! It doesn’t feel real to me. My third novel (Invisible) will be released in just under two weeks. There aren’t enough exclamation points in the world to capture how I feel about that. And I know that there is someone very important I need to thank for all of this: you! You are the reason I’m not hauling trash off to landfills right now. You are the reason I will be leading a panel at the Romance Writers of America conference in Atlanta. You are the reason I will be celebrating my 24th birthday in Las Vegas with a whole bunch of sensational YA authors! Maybe that’s the hardest part for me to believe. Somehow I found a group of people–intelligent, passionate, unashamedly geeky people–who have supported me throughout this process. Who believe in me even when I don’t. Remember that scene in The Sound of Music where Maria turns to Captain von Trapp and sings, “For here you are, standing there, loving me–whether or not you should. So somewhere in my youth or childhood, I must have done something good”? You guys make me feel like Julie Freaking Andrews. I think vlog Marni might say it best, so I’ll let her take it from here! 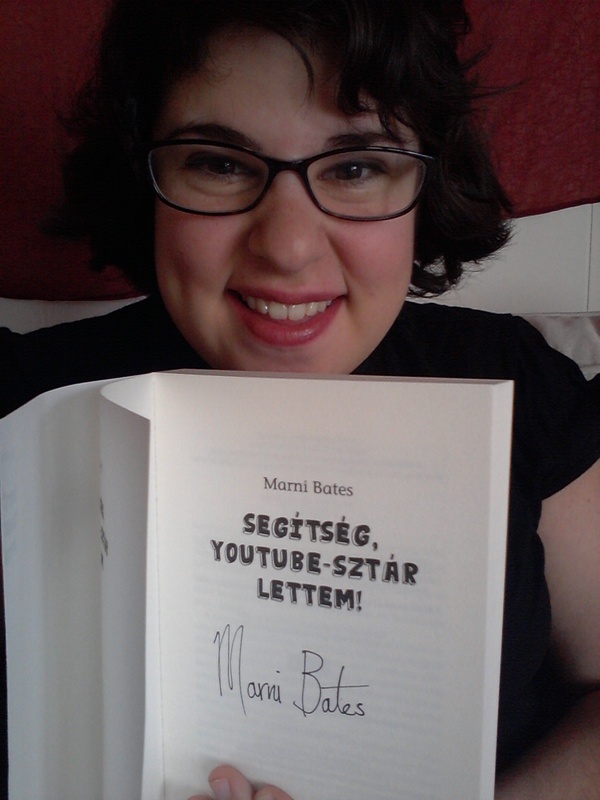 This entry was posted in Awkward, Hungarian, Invisible, Romance, RWA conference, Writing, YA Fiction and tagged Help I've become a YouTube Star!, Hungarian, Las Vegas Valley Book Festival, Marni Bates, Mora Publisher, The Sound of Music, Young adult fiction by Marni Bates. Bookmark the permalink. as someone who knows your brother well, i can assure you thats not how it happened! Um, are you sure you’re thinking of the right brother? Because that’s not out of character for one of them!